Fordward Moving Mommy: Cinderella is Back from the Ball! So I haven't posted in almost a week, and I have so much I should have been posting! I've got my December Daily stuff that needs to get posted, an Old Navy Sweater Review post, A tour of my house all Christmasified, my 12 days of Christmas countdown calendar, crafty stuff for the cookie party that is on Wednesday, and the Smash Ball I went to Saturday! So much goodness to go over, but I think I will have to start with the Smashball! So here is what the Smashball is. Basically a bunch of wonderful ladies get together with their Smashbooks (which you can purchase all over the place, even on Amazon!) and have access to a HUGE array of scrapbooking products to smash to their hearts content! I had seen the original Smashball on the fabulous Becki's blog Whippy Cake and had been so disappointed to find it was in Arizona, far far away. :( It sounded like such a fabulous event that I couldn't help but want to attend. I stored it away, and pouted a little to my husband about how much I wanted to go. So Friday rolls around (the day before the Smashball), and I get an E-mail from Becki with a special promo code for a discounted ticket to the "Ball". With the ticket now only $50 it is suddenly in my price range to attend, since my birthday is next week, and my husband had not yet purchased a gift. So I got the okay from him, and started looking into how I would get there, and how I would get home. 2.5 hours on the bus would get me there on time, but I would have to leave at seven to get home by the same route, cutting my fun time down by 4 HOURS! So I got on facebook, posted a plea on Whippy Cake's facebook page and soon found someone else who was going that was willing to drive me home! So I bought a ticket an was off on my adventure! My hubby had to work that morning, so I met him at the Trax station by his work with the boys. 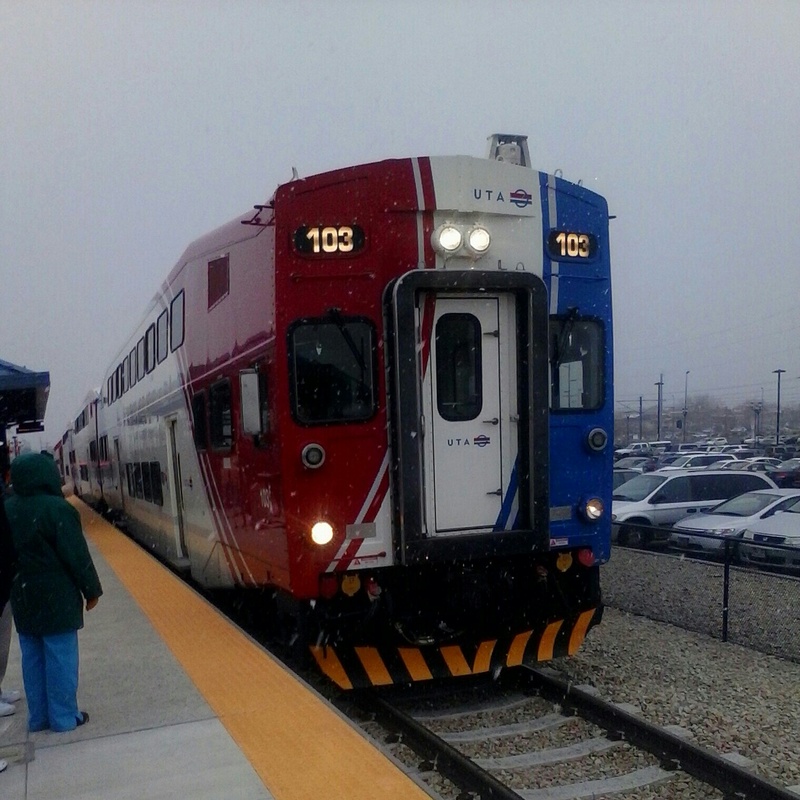 I then went and hopped on the new South Frontrunner. They were having a free day, so I got all the way from Murray to Provo for just a can of food! Of course I had to stand all the way there (about an hour and 15 minutes altogether) and my back was starting to kill by the time I got down there, but it was well worth the savings! The train was much roomier than I would have thought, and had it not been a free day I think I would have had a much better experience on my ride. It was fun to take Frontrunner for the first time, and my boys wish they had come too! I got off the Train in Provo, asked someone which way University Avenue was and began walking the mile to the venue... silly me somehow got turned around though, and I ended up walking nearly a mile in the WRONG DIRECTION. When I finally figured it out I had a mini panic attack! Here I was in a city I hardly knew, lost... I then remembered that I am now the owner of a smart phone, and I typed the address into google maps and the wonderful GPS led me all the way back, past the train station, over the overpass, and straight to center street. I sighed in relief as I saw the Temple construction site. I had a little time to kill, so I walked around for a bit, taking in center street, and then was drawn into the Indian Food place India Palace that was across the street from our venue for the night. It just smelled so good I could not help myself! After eating I was off to the Ball! I received some wonderful swag! I wish I had got some better pictures of the event, but my phone was going dead, so I didn't want to waste the batteries, just in case. 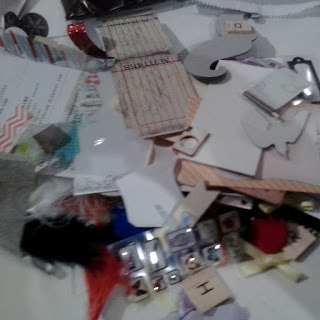 There were all kinds of fun accessories, scrapbooking elements, charms, so much goodness! I was so excited! There were some candles from Gold Canyon Candles that smelled amazing (ginger lime, OMG it was the best smelling candle EVER, and packed such a big punch for such little candles!). There was also some earrings from Hoopla Earrings that I just LOVED (so much that I put them on right away!) 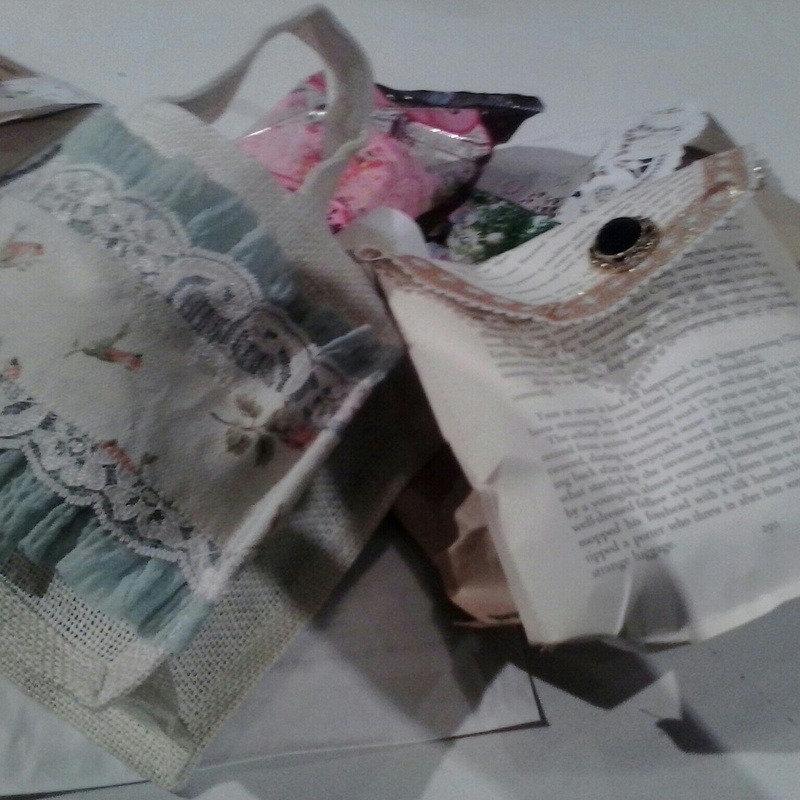 And of course there were some lovely headbands and clips from Whippy Cake! There was so much fun stuff! Oh, and can't forget the Grandma's cookie!! My favorite cookie in the world! After I was good and done looking at all the goodies in the swag bags I made my way over to the "Buffet" This was not your typical buffet though. This was every paper crafters dream. A giant table filled with every embellishment you could possibly imagine! Bins, and plates, and cupcake holders FILLED with fabulous swag, and we could take as much as we wanted! It was all up for grabs, there were stickers, letters, pockets, ribbons, feathers, lace, rhinestones, paper, clips, brads, flowers, washi tape, stamps, ink, it just went on and on!!! I must have visited the buffet at least a dozen time during the night, and every time I came back with even more wonderful stuff! It was AMAZING! I had forgotten my pictures to smash, so I didn't get a ton done, by I had so much fun getting to know the ladies at my table! They were all so much fun and were very welcoming. I was so nervous, since I had never been to something like this, and they made me feel so welcome. Alexes Brown, Jenny Purcell Nielson, Lori Allred, Staci Potter, and the other ladies at our table were awesome! So glad I met them, and hope I see them at other things in the future! All of this made me realize that I need to be branching out more and meeting new people with my interests. The last few years I have pretty much become a hermit out of necessity, due to Dominic's schedule, and it has really not been good for me. I have been missing out on meeting people and doing things that I enjoy. I have been so focused on getting him through school and taking care of my boys that I have lost sight of all the things I once enjoyed! I need to start getting more involved in the crafting community we have here. Everyone I met was so wonderfully awesome, and I had more fun than I had had in a long time. It was so good for me! This will not be the last thing like this I attend, that's for sure! I am so glad I got the opportunity to go to this! Thank you so much to all the sponsers. K&Company, Spark the Event Online, Carina Gardner, Amy Burchfield from GC candles, Hoopla Jewelry, Ellie Collection Jewelry, and of course Becki from Whippy Cake who made this whole thing happen! It was an amazing night, and I really enjoyed getting "Smashed". LOL!